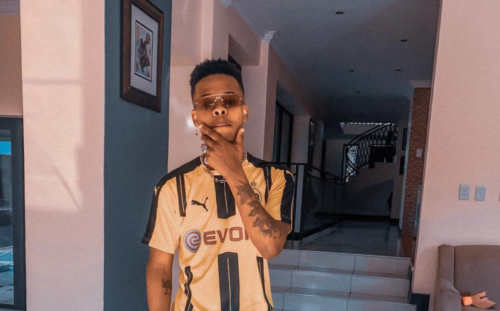 South African rapper Nasty C has received an award from video sharing platform YouTube. The ‘UOK’ crooner was presented an award after he recently hit 100,000 subscribers on his YouTube channel. This comes a few weeks after winning Best Male Artist South Africa at the AFRIMA Awards. He took to his Instagram page to thank his fans while sharing a photo of the plague. “I GOTTA THANK ALL MY FANS FOR THIS. MY YOUTUBE SUBSCRIBERS NOTIFICATION GANG MORE DOPE VIDEOS ON THEEEE WAYYYY LETS KEEP GOING & GROWING. LAST BUT NOT LEAST, THANK YOU @YOUTUBE,” he wrote.